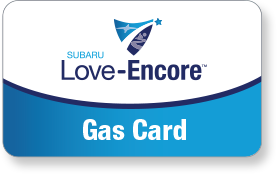 To make sure you’re familiar with these features and to personalize them according to your needs, Subaru created the Love-Encore visit. You’ll have a one-on-one appointment at Terry Subaru with a Subaru Star Delivery Specialist who will answer any questions you have and help you explore and customize your vehicle’s systems. Once you take ownership of your new Subaru, your Terry Subaru Star Delivery Specialist will schedule a return to the retailer for a Love-Encore visit. This should take place within 14 to 45 days from your original delivery date. This is your opportunity to ask questions about your vehicle’s features and functions. With the help of the Star Delivery Specialist, you will be confident understanding how your vehicle’s technology enhances your driving experience.